you are looking at a great looking great running 2006 CHEVROLET C5500 KODIAK SHUTTLE BUS with 231,543 miles on it. 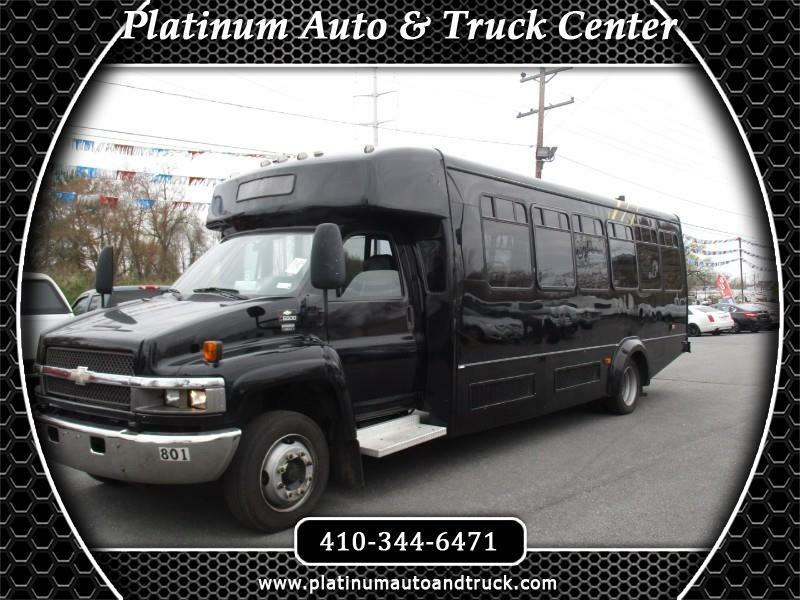 formally owned by towson university, this 1 owner kodiak has been well maintained. powered by the ever dependable 6.6L DURAMAX diesel and automatic transmission, this bus runs down the highway smooth with no issues. there are no service lights on at this time. just a complete well taken care of bus. the exterior are you can see is in good shape. no major dings and dents. you can see where there are some minor paint imperfections and residue from where the vinyl graphics were removed. even with those the paint till has a nice shine to it. with a little love and a good buffing this bus would really stand out. the tires are in ok shape and will definitely make it to its new home but i would start out with some fresh rubber. the undercarriage is free of any major rust issues or leaks. the power wheel chair lift is full functional. just an overall attractive looking bus. the interior as you can see is in good shape. the 28 passenger seats are in pretty decent shape. there is some signs of wear but please watch video and look at pics to get close up look. the floor is solid with no soft spots. driver seat has some rips but still very comfortable to sit in. Message: Thought you might be interested in this 2006 Chevrolet C5V042.